Tenor Dip L.C.M. 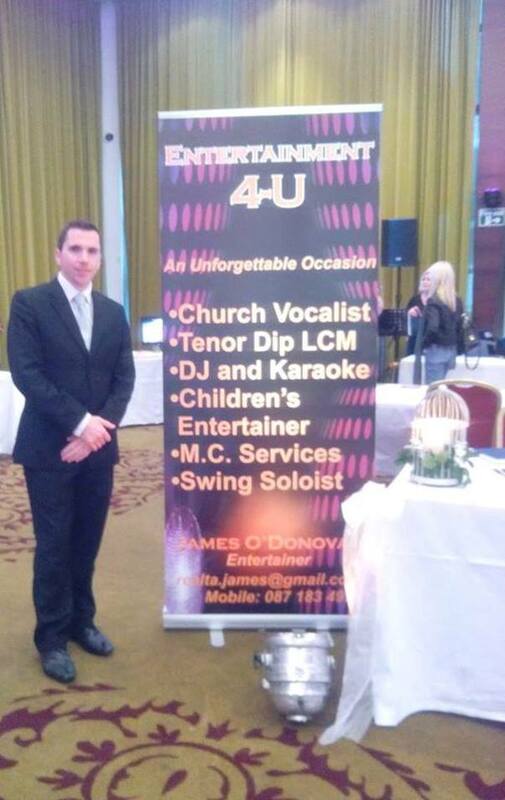 Church / Civil Ceremony Wedding Vocalist. Ex Blue Coat Trabolgan Holiday center. Over 10 yrs experience DJ and kids parties. Enjoys Swing music and loves to sing from the Rat Pack . Ideal for your drinks reception. Great deals on wedding packages.